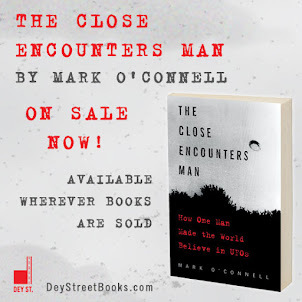 So, yesterday I posted about my upcoming appearance on Podcast UFO on the 9th, and how I was preparing some questions for the host to ask me. Turns out there's something else almost as important that I need to be thinking about: what to wear for a podcast! 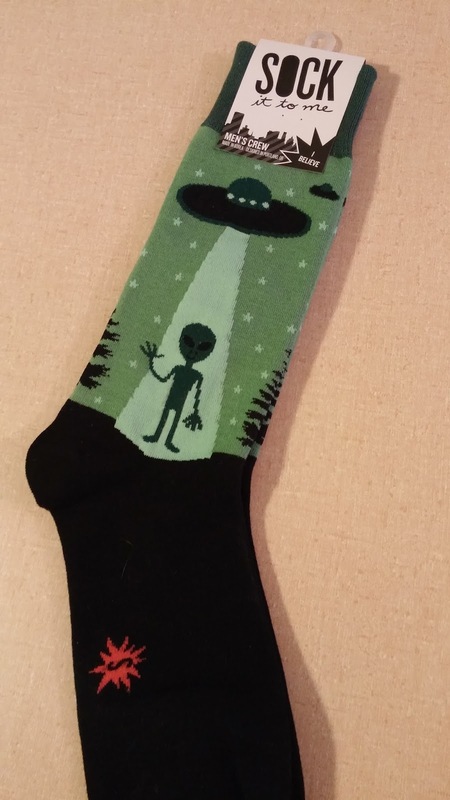 Sure, I've got my MUFON shirts and cap, and a few items of Star Trek apparel -- any or all of that would set the right tone -- but until last night something really important seemed to be missing... Then my wife came home with a little shopping bag and I saw the light. 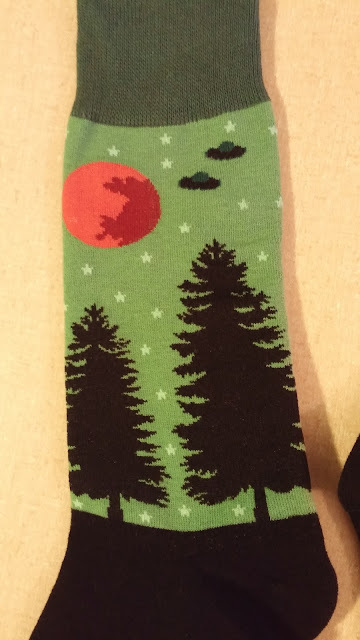 Close Encounter of the Third Kind socks!!! Do you see two more saucers lurking in the distance? 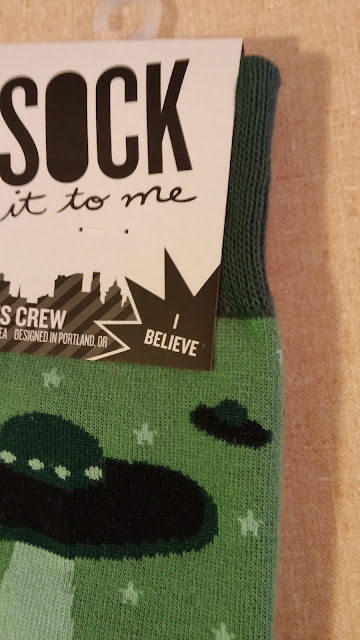 So, not only are they ridiculously cool-looking, my new UFO socks tell an intriguing story of a possible alien betrayal and invasion... A new standard of UFO fashion has been set. Send those socks to Jaime asap! Obviously these socks were woven from the ancient Incans in Peru. 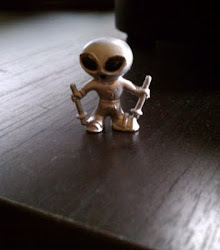 And, you have the provenance of said ancient alien artifacts! beSox! I'm shocked, shocked I tell you, that MUFON is not selling these socks to its members. They ought to have an exclusive! I know! They really missed an opportunity here, but I bet the market is still wide open for alien boxers. How do I buy these socks?